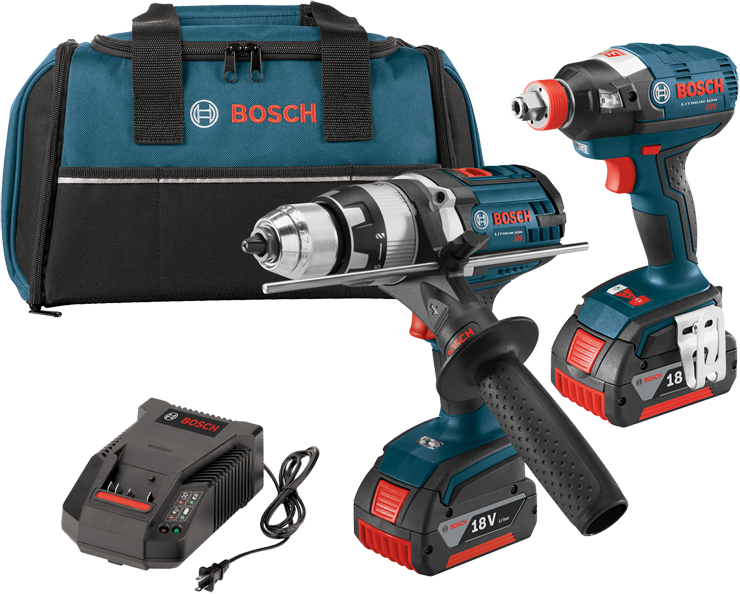 The Bosch CLPK224-181 18 V 2-Tool Kit gets users ready to start driving with cordless convenience on the jobsite. This kit includes the IDH182 EC Brushless 1/4 In. and 1/2 In. Socket-Ready Impact Driver. Providing versatility and muscle on the jobsite, the IDH182 Socket Ready adapter easily switches from 1/4 In. screwdriver bits to 1/2 In. sockets, for an all-in-one tool. With a rating of 1,650 In.-Lbs. of torque and up to 3,200 BPM, this two-in-one cordless workhorse is the most powerful impact driver in its class. The kit also features the HDH181X Brute Tough 1/2 In. Hammer Drill/Driver, a powerful cordless that weighs only 5 Lbs. but provides 750 In.-Lbs. of torque and up to 27,750 BPM, great for drilling with high-torque bits. 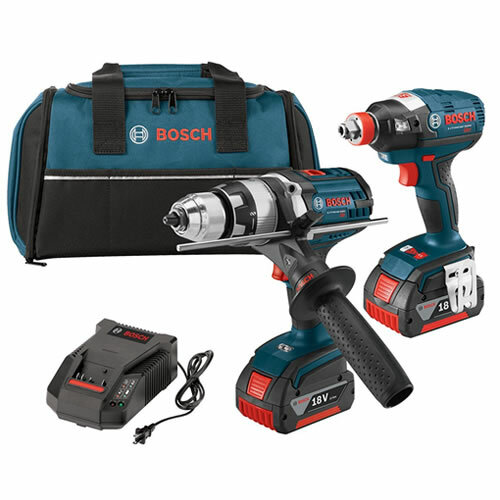 With the two included 18 V FatPack batteries and a charger, this is a practical starter kit to the Bosch Flexible Power System.